Lafiya Lifestyle Expo Kaduna is a 1 day fair empowering women to live a healthy, well balanced and productive life. Bringing together entrepreneurs, business leaders, and students, this is also a great opportunity to grow your network. This lifestyle fair will give you the tools to build quality relationships, the confidence to reach for your goals and inspiration to live your best life. Come prepared to mix and mingle and begin your journey to becoming the best you! What will you find at the Lafiya Lifestyle Expo? * Expert-led panel sessions to learn how to live your best life, overcome adversity, grow your network, and build long lasting relationships. * Masterclasses on physical, mental and financial health, living a balanced life and networking for success. * Wellness Circles with over 20 senior level professionals so you can learn directly from their life experiences. * Speed networking so you can meet other women in your community and make valuable connections. * Brand activities where you can interact with different products. This means cooking demos, yoga sessions, health screenings and shopping! * Plenty of good music, great food and a wonderful vibe for you and your friends. Kadaria Ahmed is a media entrepreneur and seasoned journalist. She is the founder of Daria Media Ltd, a company that is bridging the gap that exists in Nigeria for journalism that is primarily driven by public good. She presently hosts The Core on Channels TV. Kadaria served as the editor of Next (Nigeria), the defunct award-winning publication. She co-created, produced and presented ‘Straight Talk’, whose audience grew to over 4 million viewers globally. Hadiza Isma El-Rufai is the founder of Yasmin El-Rufai Foundation. The foundation focuses on two programs: Creative Writing Program (CWP), which aims to awaken and nurture children’s talent in creative writing, and Women Literacy Program (WLP), which gives young women the opportunity of improving their life prospects by enhancing of their literary skills. Hadiza writes poetry and short stories. Her first novel, An Abundance of Scorpions, was published in November 2017 by Ouida Books. She is currently working on her second novel. Sanusi Ismaila founded and runs two technology driven companies, that both focus on different aspects of helping businesses get more efficient and an innovation hub—Colab, where he encourages people to build tech-powered businesses that can scale. Before starting out on his own, he spent 5 years in various positions making MTN Nigeria a better place. Zulaha Hadeija co-founded the cybersecurity tech company Decy4 Technologies Ltd and is the CEO/Founder of the Social Enterprise company Startup Gamji Ltd, solely to inspire youth into becoming better versions of themselves using innovative technology. She is also an election technology consultant. 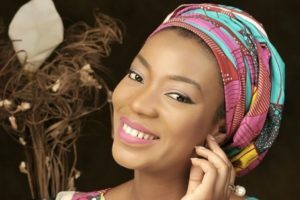 Jamila Lawal is a nutritionist, culinary expert, and the producer and host of the TV series, Mila’s Diaries. Jamila started her talk show, Mila’s Diaries to be of service to the economically disadvantaged and to address issues affecting northern Nigeria such as divorce, child abandonment, early marriage, education etc. She also uses this medium to showcase success stories of the people within the region. Barbara Barungi is the Managing Partner of IMARA AFRICA Consulting that provides technical and advisory services in economic management, public policy and financial advisory. Ms. Barungi has over 20 years experience as a development practitioner and previously worked at the African Development Bank as the Lead Economist for Nigeria. Have a question about the event? Visit our Frequently Asked Questions page to get all of the info you need. Interested in being a vendor? Fill out the form below to apply. Applications close on October 15th.